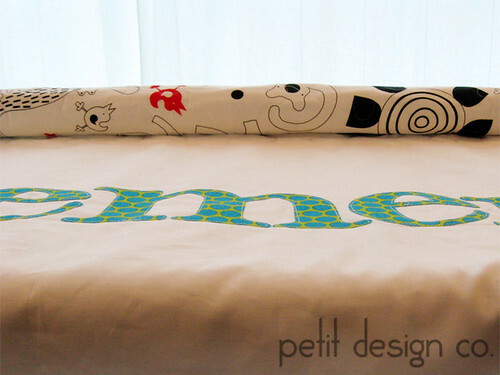 Working on a custom order for a personalized baby boy quilt. I love these baby quilts. So cute and modern! These are available in the shop.